Hii I am here with my heart beats my meharya…os……I hope you will like it…..
Group of girls and boys are traveling in train……they all are singing songs and enjoying……..after finishing the song…..
ravi-guys….everything is good……but feels like something is missing……. priyanka-same here……….i also feels so..
mansi-yes……I wish….if someone would have been here to mentor us……. One boy(not in their group) sitting at the corner…..listens their conversation……..
Yeh tay hai, yeh tay hai…. Yeh tay hai, yeh tay hai…..
Maujood hai har saans mein….. Tu har dafa ye tay hai…. Tere bin jee na paunga…. Sach much mar hi jaunga …. Tu naseebon sa …mere haathon pe ..Shuru se likha hai …. Mera haq hai …tu aasmano se Mujhe jo lagta hai…. Maujood hai har saans mein… Tu har dafa yeh te hai.. Par hai mera yeh tay hai (x2)…. Abhi-hey bro……..you voice does wonders…….plss train.us…..
Ravi-yeah bro can you teach these song…..
Boy- don’t worry.let me tell you the story.. Boy –I am shaurya khanna……I have great passion for singing……..
Shaurya and his friends are roaming around the city….while passing through chandni chowk …the stop their to eat something……everyone was enjoying..shaurya listens someone singing……….he follows the voice and reaches a house………. A girl is shown singing…. Chalte chalte hum kho jaaye …..
Main phir bhi tumko chahungi…. Meri jaan mein har khamoshi hain ..
Tere pyaar ke nagme gaungi..
mehak gets ready ties her hair in pony….and comes outside…. She comes from behind ……and pushes him…..shaurya falls in mud….he turns around and stands up…..
Mehak-ohh hello stop you nonsense….i know you cheap boys very well…get lost from here……..
Shaurya at night thinks of mehak….. While mehak,sonal and nehal and other girls were having born fire..at night……they were enjoying……..otherside shaurya had come on picnic from his college ……while they were returning….there bus got stopped in middle…..they were outsode sdch backside……. Everyone came outside…by the time the bus get repaired……..
Veer- hey shaurya bro………..we are getting bored……plss sing a song……..
Everyone starts hooting for shaurya…..
Mehak and other girls listen the song from otherside……. After shaurya finishes………..girl from sdch starts clapping and hooting for shaurya……….and they ask his name…….from otherside boy tells his name……. Mehak(in her heart)-shaurya…….yes I got my dream boy……my shaurya…………..
Mehak starts blushing thinking in her mind…. shaurya listens her scream…..for a second he felt like his heart bit skipped……. Veer- hey boy lets go…….bus is ready…..shaurya bro lets go…..
Shaurya looks towards the wall……..
Nehal-oye yar……..u fall in love with his voice……..
Sonal-yes if he will be fat ugly and all….then also you will love him……. Mehak-love doesn’t happen seeing face….itt just happens ……….and my heart say he is my soulmate…….SHAURYA……MERA SHAURYA…. Sonal and nehal looks at her blushing face………..
Shaurya’s pov-now I understand why I felt not leaving this place that day…..because you were here…….see god also want us to unite….that’s why gave me so much signals……today I will clear every misunderstanding between us……..
Mehak runs towards upstairs………shaurya also follows her……. Mehak-you are still following me……. Shaurya-plss…..you are misunderstanding me……plss listen to me……..
Shaurya pulls mehak……..mehak jerks his hand…….and mishtakenly looses her balance………but before shaurya could save her….mehak falls down and gets hitted on the wall..….shaurya runs towards her……everyone gathers……..
Shaurya is tensed…..and remains there…….sonal and nehal comes there……they see shaurya there…..
Nehal- may I know who are you.??? Nehal-okey.stop crying….tell me who are you…..
Shaurya narrates the whole incident how….mehak misunderstood him in chandni chowk……and then in hospital how the accident happened……..
Sonal-plss don’t worry…..as soon as she gets well….we will make her understand……..
Sonal-shaurya…..i had listened this name earlier…..yes…….are you that singer shaurya who came few days ago……behind sdch…. Shaurya-yes but how do you know…..
Nehal-destiny has played with you both…..
Sonal and nehal narrates how mehak…falled for him….through his voice……shaurya gets happy listening to it…..
Doctor-she is out of danger……but…..
Sonal and nehal and shaurya were shocked…. Shaurya-okey doctor tell me what we have to do…..i will do everything to make her well soon……. Sonal and nehal introduced shaurya to mehak……but shaurya asked them not to tell them that he is the same boy whom she considered as cheap…..
Mehak-shaurya…….you know that cheap …because of him…I lost my eyesight…………now I will not be able to fulfill my dreams……for him my dreams are shattered………..
Next shaurya comes to mehak…..who is sleeping……..
Shaurya comes near her…….and pecks her forehead and smiles seeing the natural beauty…..
Mehak…..i know you hate me……but I promise..i will help you to fulfill your dreams….you will become a best singer………..you dreams are not shattered……its just beginning…………I promise I will make you life as beautiful like a heaven……I know one day your hatred towards me will end……..
Mehak wakes up and feels shaurya’s presence……. Shaurya-yes……so sleeping beauty finally waked up……..so get ready fast I will take you somewhere…. Shaurya puts his finges on her lips…….these makes mehak blush…..
Shaurya-shh..No ifs and buts…….i am giving you your cloth go fresh up and change…. After sometime….mehak comes out….wearing light green frock suit…….with wet hair……shaurya gets mesmerized seeing her………he recalls how he met mehak first time……..
Mile ho tum humko …Bade naseebon se..
Teri mohabbat se saansein mili hain ..
Mile ho tum humko …Bade naseebon se…. Shaurya makes mehak stand.and holds her hand and makes her sit infront of dressing table…..mehak is about to take the comb…..shaurya hold her hand and put it down on her lap….and he takes the comb and starts combing her hair……..
Teri chahaton mein kitna tadpe hain …. Tere aa jaane se ab nahi rahi…. while all this mehak becomes teary eyes seeing shaurya’s care for her……. Sada hi rehna tum… Mere kareeb hoke..
Shaurya pickes up stone bindi…and puts on middle of forehead….now mehak looks complete…..shaurya holds mehak’s hand…..and makes her stand…..
Mehak holds shaurya’s hand……shaurya looks at her……mehak immediately hugs him………shaurya sees mehak is crying……. Shaurya-what happened mehak…..why are you crying..
Mehak- you are ddoing so much for me…….but I have nothing to give.you…..i cant even see your face…. Shaurya(in mind)-if you will see me you will start hating me again……..
and puts it on his face….mehak touches his face emotionally……..shaurya also becomes teary eyed……. Meharya leaves hand in hand…..
Sonal and nehal sees everything hiding outside…..
Sonal-I hope mehak will understand the reality…..
Shaurya takes mehak to room filled with almost all types of musical instruments…. Mehak starts roaming she touches the instrument……she touches harmonium…..then sitar…….a huge smiles comes over her face…. Mehak-shaurya…..will you sing with me………..
Shaurya-yes why not…..but which song………. Mehak-your song…….the song which you sang that day……..
Tere bin jee na paungi…. Sach much mar hi jaungi …. Shaurya- one day whole world will clap for you like this……. Shaurya- I love you too meri jaan……you know doctor said soon…..you will get fine……..
Days passes by……..shaurya trains mehak…..meharya were madly in love……. Shaurya took mehak for singing in many concerts……. Shaurya took mehak for playback singing……soon mehak became famous singer……. Mehak’s bandage was opened……she saw everyone……. sonal.nehal..her mother…..and father…….doctor…….but did not find shaurya..
Shaurya-uncle where should I drop you….. The man takes out gun puts on shaurya’s head…………. Man-ride where I say you…..
One police man comes on bike infront of them…..he comes and pulls out the man……..
Shaurya-sir…..i didn’t do anything.this man asked for lift…….so i…..
Police man-I know he is a serial killer…. The culprit takes out a knife from his pocket and stabs the police man…..he falls down…….the culprit runs away from there……. 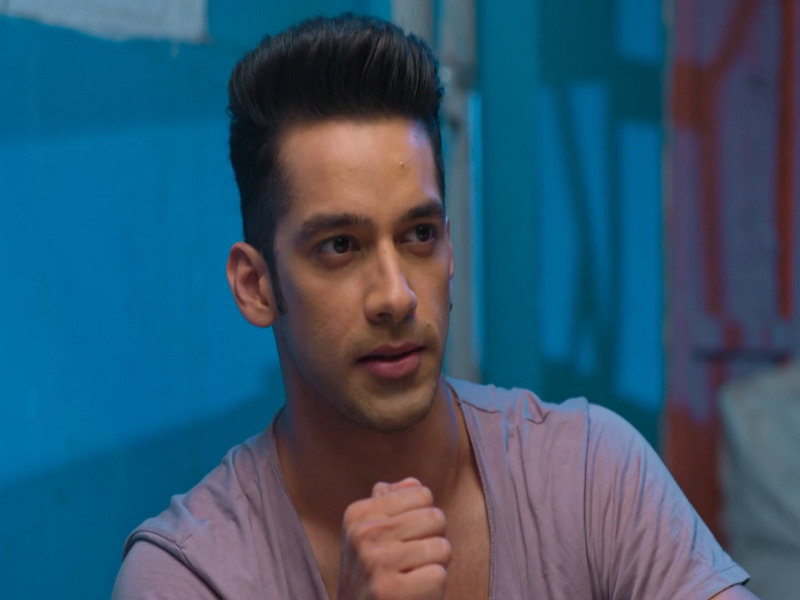 The police van comes and sees the situation……..and misunderstand the situation and arrests shaurya for killing a police inspector……. Shaurya is given life longprison……. but after getting evidence…….after 1.5 years…..he is released……….now he is going to meet mehak…….. 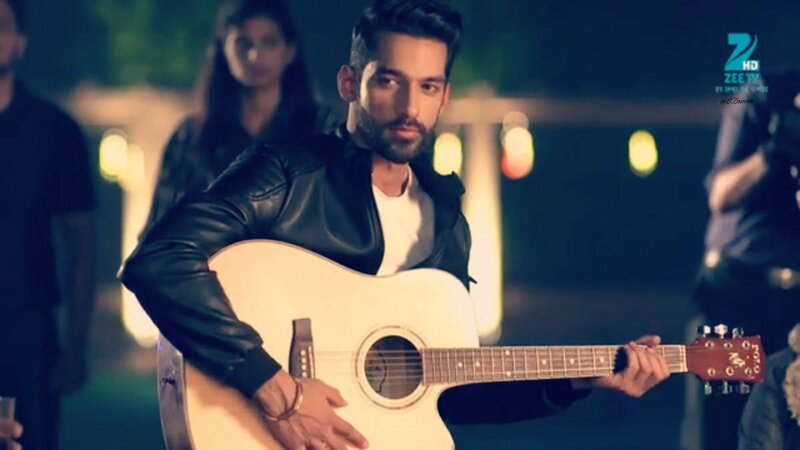 In this 1.5 years….no one knew where shaurya was….mehak still waits for him…..
Ravi-such a nice love story……..i hope your heroin is waiting for you……..
Shaurya teaches them the song ‘’tai hai’’……. Otherside a girl is shown getting ready ………her eyes are shown…….her smiling lips is shown…….someone calls her…….she turns around and is revealed to be mehak………. They here noise from outside……. sonal and nehal comes at balcony…..they see someone is arguing with security guard………..
Guard-mam…..see this boy is arguing to come inside…….i said no one is allowed but he is saying he knows you……..
Guard moves side…….and mehak sees shaurya…shaurya sees mehak……..and gets emotional……. Mehak-you cheap……because of you I have to face so much problem in my life….you are again here…….security….threw him out…. Sonal and nehal tries to stop her.but she doesn’t listen and goes to her room…..
Shaurya-mehak plss listen once……theire are many things to tell you..pls……. Priyanka-yes….shaurya told us about your love story…..
Ravi-he was arrested in a false case the day of your oppression…he is released today….he is coming to you only. 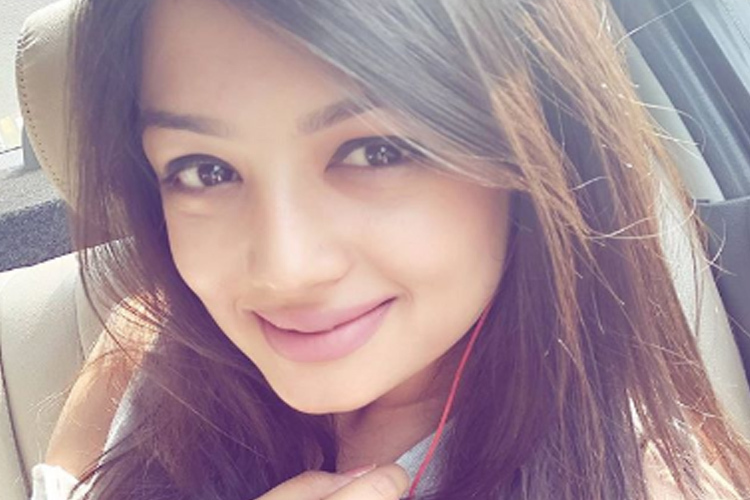 Suddenly mehak hears someone singing the song……the voice is coming from the entry door if the hall……..all audience also looks at that direction…..
Shaurya sings…and smiles through tears. Par hai mera yeh tay hai . All hoots and claps for meharya……..shaurya kisses mehak on forehead….they both hug each other…. The group sings the song at back…..
Actually I took the idea if the story from a Bengali movie sathi……..i hope you liked it……..
this bengali movie is the remake of the Tamil movie which I love a lot.never thought that I will be able to read an os on it.how beautifully you made the whole movie into an os is appreciative. it’s difficult for me to write os on a movie covering all the necessary parts. thanks a lot and lot………so much your compliments means a lot…..actualyy i always want to write on them only……….because…..u cant even think such big die hard fan i m of meharya………but then…..u see except u no respone for this os…..becaose as i said…….all meharya fandom left tellyupdates………….and i m on indian forum but i m newbeie their……..so i have to post 25 posts first then only i could add pictures to my ff………..so its so difficult as i had become habitutal to add pictures……….and then on wattpad i had id but still never post anything…………….i will surely try to active on wattpad……….i love my meharya………and for meharya fans i can do anything…………….and again thank you a lot……..and lot…….for loving meharya…..